The Bharat Heavy Electricals Limited (BHEL), India's premier engineering enterprise under Govt. of India, has invited applications in online mode from eligible and interested candidates for engaging 400 Trade Apprentices in multiple trades at BHEL's Tiruchirappalli workstation through direct recruitment. 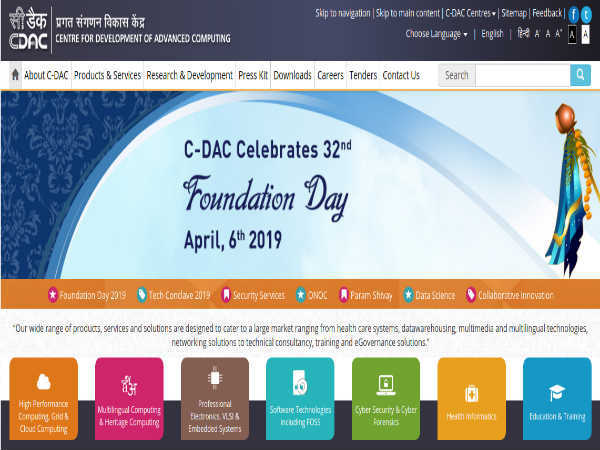 The online application process towards the same starts from March 16, 2019 and closes on March 30, 2019. The recruitment is for various Trades comprising Fitter (150), Welder- Gas & Electric (110), Turner (11), Machinist (16) Electrician (35), Wireman (7), Electronic Mechanic (7), Instrument Mechanic (7), AC and Refrigeration (10), Diesel Mechanic (7), Sheet Metal Worker (5) PASSA (20), Carpenter (4), Plumber (4), MLT Pathology (2) and Assistant-Human Resources (5). Salary Scale Rs. 8,656 – Rs. 11,129 per month as per the designation. 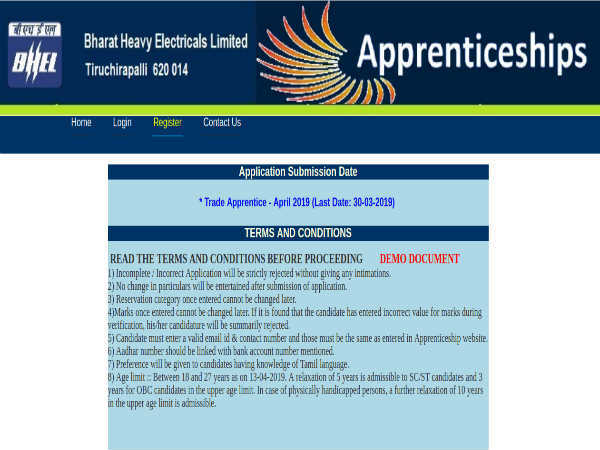 Candidates interested in applying for Trade Apprentices posts through BHEL Trichy Recruitment 2019 must have attained 18 years of age as on April 13, 2019 and must not have exceeded 27 years (Gen), 30 years (OBC) and 32 years (SC/ST) respectively as detailed in the notification. 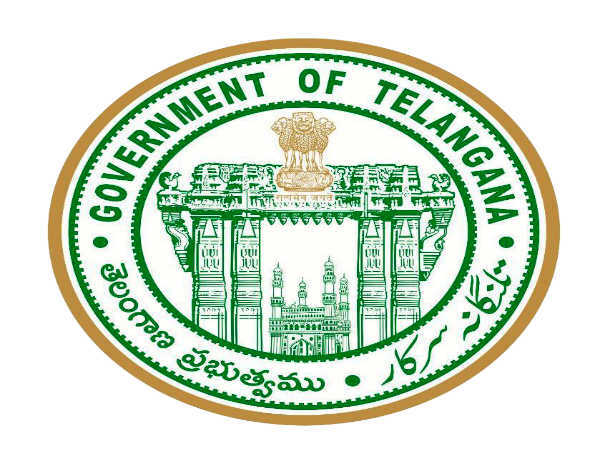 Desirous candidates applying for Trade Apprentice posts through BHEL Trichy Recruitment 2019 under various trades must have passed Class 8, Class 10/SSC or equivalent with Science and Maths as subjects, and possess an ITI in relevant trade/discipline. Candidates must be eligible for National Trade Certificate (NTC) issued by NCVT. Candidates applying for the post of Assistant (Human Resources) must possess a Bachelor's Degree in BA/BBA from a recognized University/Institution. The selection of candidates as Trade Apprentices through BHEL Trichy Recruitment 2019 will be done through Shortlisting, Skill Test/Interview and Document Verification. Candidates shortlisted as Trade Apprentices will be paid a stipend (consolidated) in the range of Rs. 8,656 - Rs. 11,129 per month as per the designation. 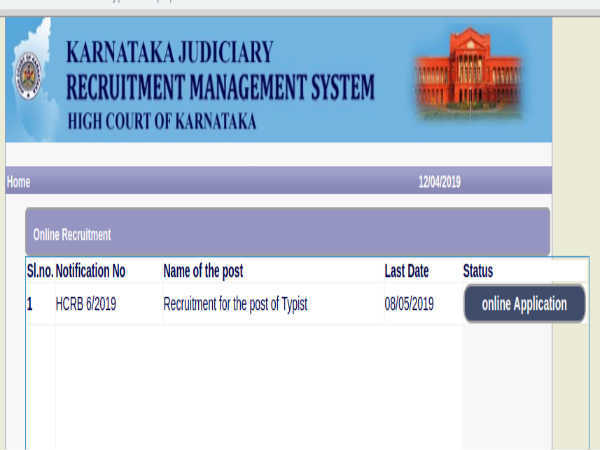 Post-enrollment with RDAT, candidates must apply online on the official BHEL Trichy website at https://trichy.bhel.com/tms/app_pro/register.jsp on or before March 30, 2019 and complete the application process.